In osteoporosis, bones become thinner as a result of bone mineral density decreasing, so people who have been diagnosed with this condition often avoid engaging in strength training and other activities that place load on their bones. The risk of fracture is indeed higher in people with osteoporosis, but this doesn’t mean you can’t or shouldn’t train just because your bones are slightly weaker than they used to be. In fact, it’s well known that exercise helps in strengthening the bones, and it’s one of the most affordable and most recommended treatments for osteoporosis. 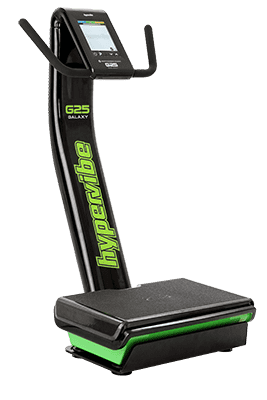 But if you’re not really into weight lifting or are afraid to do HIIT exercises or other activities that are too intense and don’t feel safe, we suggest you try whole body vibration. 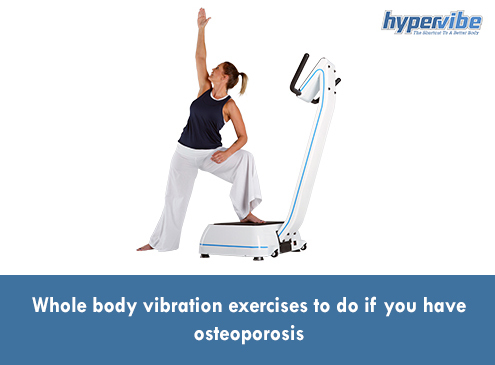 There isn’t a standard whole body vibration workout for people with osteoporosis, so it pretty much depends on what your overall health and fitness goals are. If you want to exercise just to stay active, improve your bones’ health and maintain your current weight, while toning your muscles maybe, then a frequency of 10-18 Hz is enough during the workout. Here’s a sample routine for beginner level that is suitable for people with weaker bones. Make sure to keep your hands on the handles for balance and to adjust the intensity as needed if you feel the frequency is too high. As a general recommendation, we encourage you to practice WBV exercises that target different body areas, even if you’re not looking to build muscles, as this helps with posture, flexibility and overall muscle tone. With osteoporosis, it’s not only the bones in your lower body that get weaker – the spine and upper body are also affected, so you should included exercises for these body areas in your routine as well. 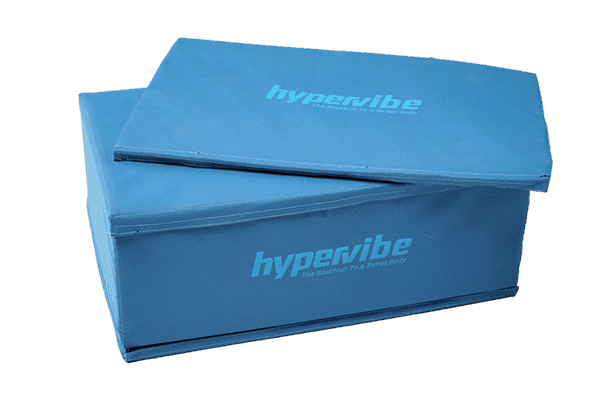 For the upper body exercises on your Hypervibe vibration machine, it may be necessary to decrease the frequency even more, and for those targeting the core and abs, you may need to reduce the duration to just 30 seconds at the beginning, to avoid head vibrations and dizziness. Just remember to keep the proper posture and try to do as much as you can from this workout. Hydrate yourself properly and grab a small snack prior to the WBV training session if needed. Is WBV really safe if you have weak bones? Yes, the great majority of existing studies suggest that exercising on a vibration machine is safe for people with osteoporosis, so there’s no need to avoid this form of training. 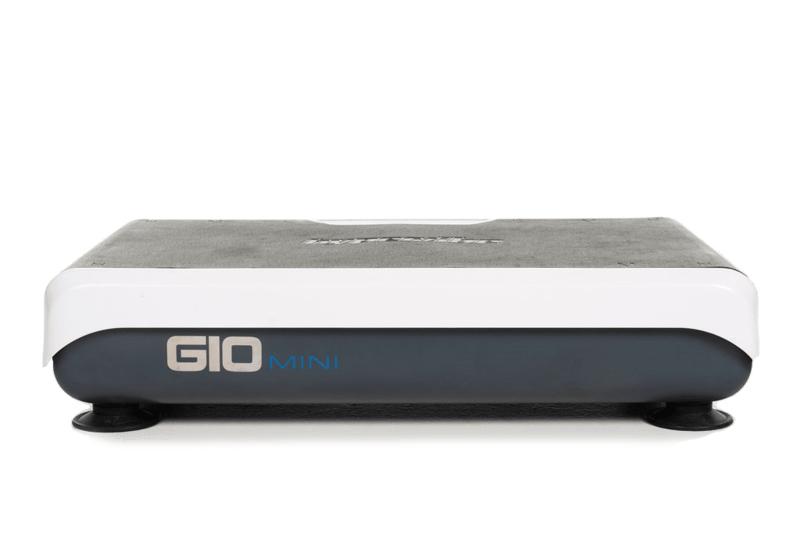 Vibration workouts have been found to be effective in improving bone mineral density in postmenopausal women with weak bones due to osteoporosis, and are widely used as a complementary treatment in people affected by this condition. This study for example found that 6 months of WBV exercises at a high intensity and amplitude can lead to significant improvements in the bone density of the lumbar spine, and researchers concluded that whole body vibration can be a safe alternative to conventional exercises. Also, here’s a review that explains very well the use of vibration exercises and therapy in osteoporosis patients. Although there are still uncertainties regarding the best way to use vibration therapy for strengthening the bones, and although there’s no specific treatment at the moment or a frequency or intensity that is considered the standard for treating osteoporosis, all results are promising and encouraging. As this review states, there’s no doubt that combining vibration exercises with other forms of therapy or doing whole body vibration alone leads to positive results in osteoporosis patients. Also, the researchers agree that using a high intensity and frequency is safe and effective in building stronger bones, and that the best way to use WBV for osteoporosis is to train at least 3 times per week. Besides improving bone density, whole body vibration also contributes to better balance and posture, and reduces the risk of fractures in patients with this condition. 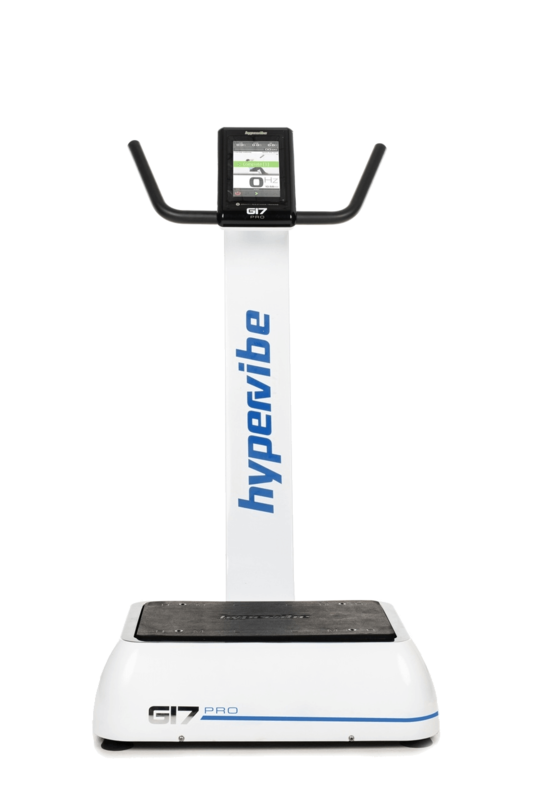 UK researchers investigated the effects of vertical and side-alternating WBV platforms on fall risk factors and bone turnover in older people at risk of falls, and found that whole body vibration training increased leg power and bone formation. This study conducted by Chinese researchers found that whole body vibration can contribute to an increase in bone mineral density of the femoral neck and lumbar spine, while reducing back pain. 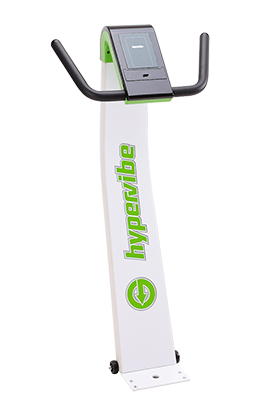 And this article here states that vibration machine exercises are safer and more effective in strengthening osteoporotic and weakened bones than conventional weight lifting exercises. 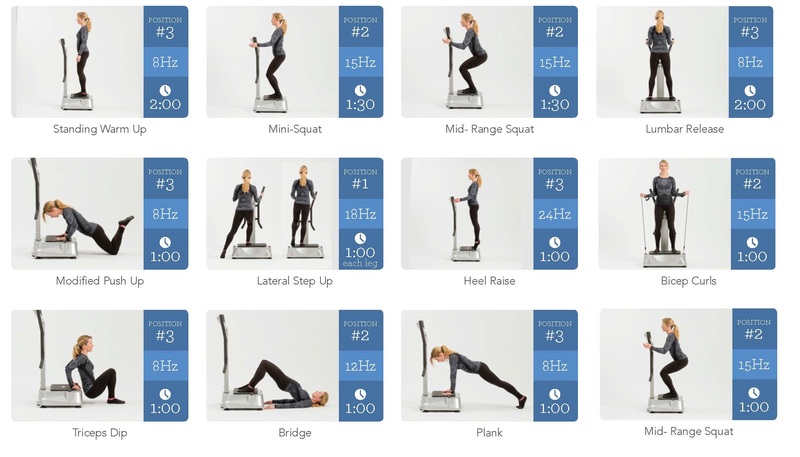 For more whole body vibration exercises, check our Support site for goal-based exercise videos, or our Fitness and exercise, respectively WBV training categories on this blog. Have comments or questions? Post them below or comment on our Facebook page!